CHICAGO — A suburban Chicago alderman called Tuesday for Cook County prosecutors to investigate the fatal shooting of a black security guard by a white police officer outside the bar where the guard worked. Authorities have said little about the scene that ended early Sunday with the death of 26-year-old Jemel Roberson, who was apparently wearing a hat emblazoned with “security” across the front when he was shot outside Manny’s Blue Room in Robbins, a predominantly black community just south of Chicago. 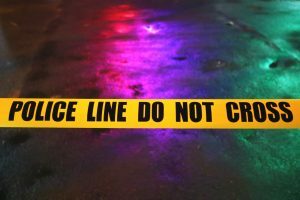 At the time, according to witnesses and a lawsuit, Roberson was attempting to detain a suspect in a separate shooting that wounded several other people at the tavern. “Here is a security guard who is subduing a suspect,” but the officer “just sees a black man with a gun and kills him,” Alderman Keith Price said. Price said he learned from witnesses that there are security cameras inside and outside the bar. He urged the Cook County State’s Attorney’s Office to launch an investigation. The Illinois State Police declined to comment on their investigation. A spokeswoman for the sheriff’s department, which is also investigating, said she did not know if there were security cameras at the bar. Another security guard at the tavern said that the officer jumped onto the bar and waved an assault rifle before running outside and fatally shooting the guard, an attorney said Tuesday. Gregory E. Kulis, who on Monday filed a civil rights lawsuit against the officer and the community where he works, said the surviving guard told him that the officer pointed a gun at him until he screamed at him that he was a security guard. “That’s when he jumped off the bar, waving the gun, and ran outside the door,” said Kulis, who declined to identify the other security guard. The name of the officer, who is from the community of Midlothian, has not been released either. Though shootings of security guards and off-duty police officers by law enforcement are fairly rare, they have happened. In 2009, an off-duty black New York City police officer wearing street clothes and holding his service weapon, was shot and killed by police as he chased a man who had broken into his car. In that same year, undercover officers in Brooklyn responding to a report of a bar fight shot and killed a 43-year-old security guard who, police said, pointed a gun at them. A year earlier, in White Plains, New York, a black off-duty Mount Vernon officer who was holding an assault suspect at gunpoint was fatally shot by a Westchester County officer. A 73-year-old night watchman at a recycling center was fatally shot by officers in 2012 in Florida after they spotted him carrying a gun when they arrived in response to a call of an intruder. Police later said the man was not wearing anything that identified him as a security guard. And in 2000, an off-duty black police sergeant in Rhode Island was shot and killed by two uniformed colleagues as he tried to break up a fight in a parking lot. Kulis would not say if he thinks race played a role in Chicago-area shooting, but the fact that the officer is white and Roberson was black has prompted some — including a prominent local African-American newspaper columnist — to question the officer’s thinking. Footage from surveillance or body cameras could explain whether Roberson was clearly identifiable as a security guard. Kulis said he is trying to gather information about the officer, who he said came to the Midlothian department four years ago from another department and is a member of a SWAT team. Footage from surveillance or body cameras could explain whether Roberson was clearly identifiable as a security guard. Audio could determine what, if anything, was said to the officer before the shooting and whether, as witnesses have told the media, they shouted to the officer before he fired that Roberson was a security guard. Such footage could also help investigators determine what kind of charges should be filed against the man who is suspected of firing a gun inside the bar. The man was one of four people who suffered non-life threatening gunshot wounds. In his $1 million federal lawsuit, Kulis contends that the officer who shot Roberson violated the man’s 4th Amendment rights against unreasonable searches and seizures. “The use of force is considered a seizure, and he needed probable cause to use force and he did not have that,” he said. What is it like to be a black police officer in America?